BECOME A PARTNER OF THE MANTAI'S PRAYER AND PROVISION TEAM! 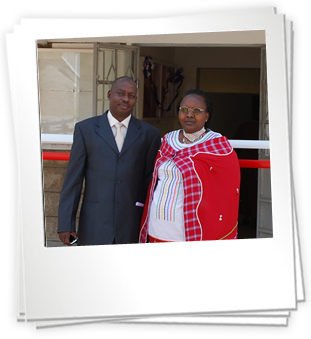 Tim and Lorna serve in the Maasai community of Narok district where Tim coordinates church leadership training, education development, food and water security, health development, ministry to orphans and vulnerable children and income generating projects. The goal is to expand AfricaHope’s ministry and philosophy to other parts of Africa. Tim is currently pursuing a Masters degree in disaster management and sustainable development from a Kenyan University. Early in Tim’s life, 1 John 5:12 convicted him to desire LIFE. Soon after, he met a missionary named Phil Hudson who led him to Christ and discipled him. After training as a school teacher, Tim pursued a community development and Christian ministry degree at Daystar University. While in college, he was convicted of the need for discipleship in Kenyan churches and began serving as the Kenyan director for Harvest Discipling Ministry. Through distributing relief to 240,000 people, and sharing the gospel, 18 churches were planted. The challenges of disease, poverty and a lack of relationship with Jesus prompted them to start AfricaHope in 2003, where Tim continues to serve as the director. Tim and Lorna joined NMSI in 1998. They have been married since 1988 and are blessed with five girls.